Work Trucks Plus' adjustable Eco-Series Shelving allows you to customize your van interior to match your unique job functions. This line of industrial-grade shelving features popular accessories such as storage bins, drawer units, locking and non-locking horizontal doors, as well as low profile and deep-lip shelves. 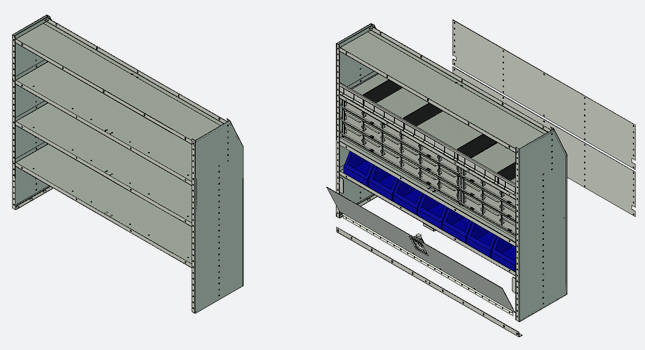 Our latest design increases the strength of the shelving while using lighter weight material, resulting in greater fuel efficiency.